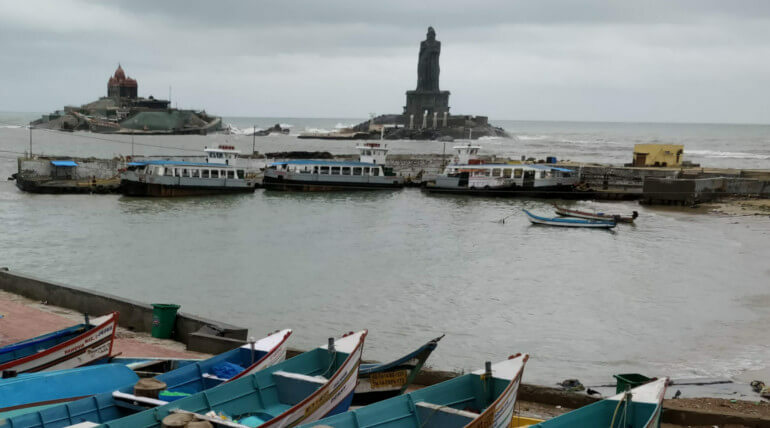 Indian Home Ministry announced about the data of missing fishermen due to Ockhi Cyclone today. As per the report, 619 fishermen are still untraceable including 433 Tamil Nadu fishermen and 186 Kerala fishermen. The government says search operation are in progress and the statistics are taken from door-to-door survey. The Ockhi cyclone had left severe marks in Tamil Nadu and Kerala. The fishermen who left the shore before the cyclone have been stranded at the ocean. Some of them are rescued by the team with combined operations of Navy, coastal guard and army. They have been safely landed to Lakshadweep and Gujarat and other sea shores. Meantime Tamil Nadu government was reporting more than 600 are missing and Kerala government said 60 people died in cyclone. Tamil Nadu government had announced 10 lakhs to the families lost their loved ones. Both the state governments have seek the fund support from central. The people from various place in Kanyakumari district are still continuing protest to make the search operation quick and serious with top piriority.